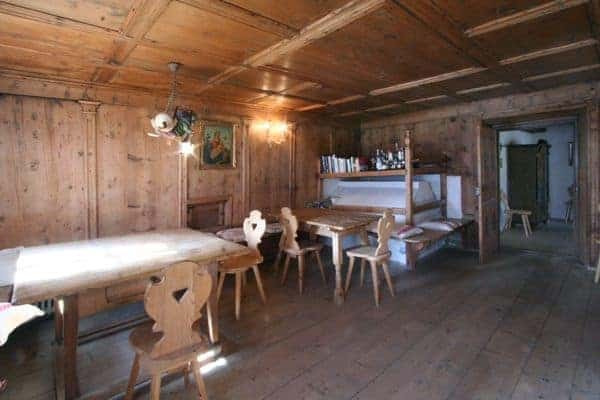 At an altitude of 1, 500m on the sunny side of Alta Val Pusteria, overlooking the town of Dobbiaco in the Dolomites, there is a lovely luxury chalet to provide its guests a magical stay in the South Tyrol. 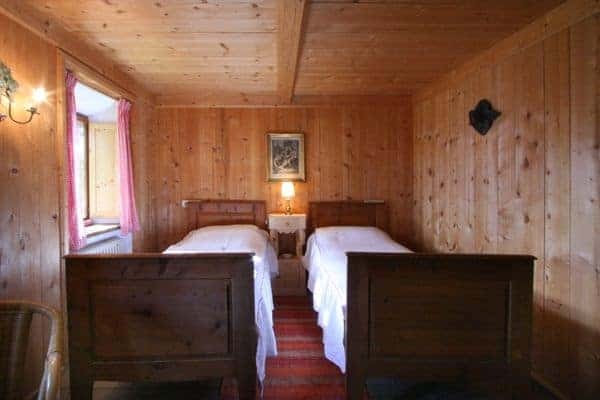 The chalet is 30 minutes by car to Cortina and is close to ski resorts: Monte Elmo (15 min), Croda Rossa (15 min) and the beautiful Plan de Corones (10 min ski-train from Dobbiaco station). 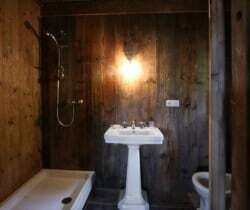 The location also guarantees privacy and ravishing, unspoiled views as there are just a few scattered farmhouses nearby. 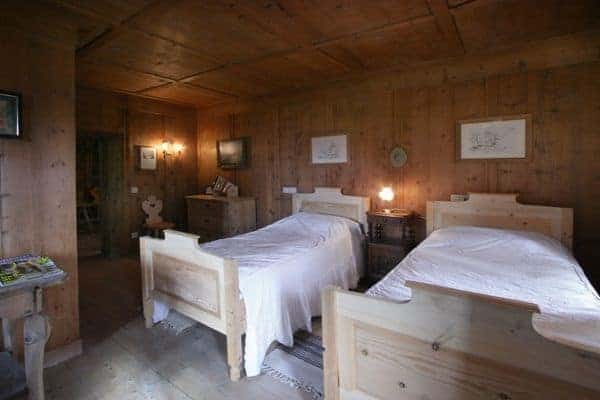 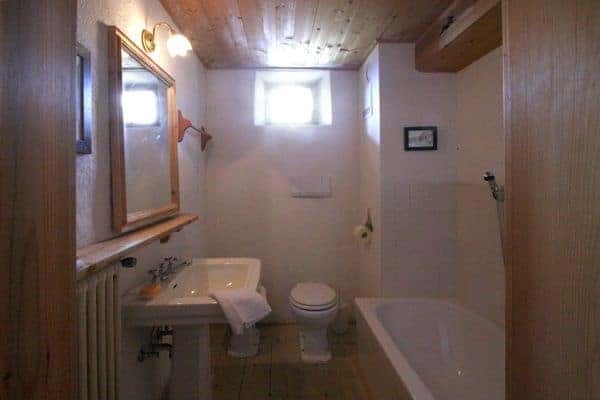 The nearest village is Villabassa (5 min) and other picturesque villages – with spa and quality restaurants – San Candido (10 min), Sesto, Moso (20 min) and Brunico (30 min). 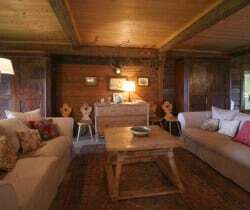 For high-end shopping you can head to Cortina while the whole region is noted for its Tyrol clothing and sportswear. 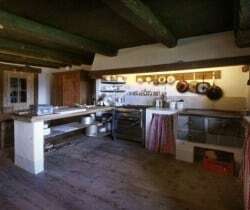 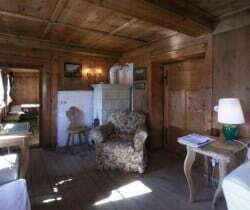 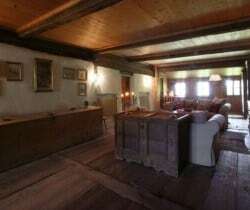 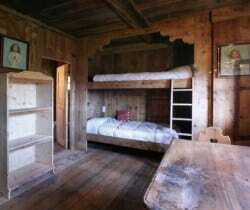 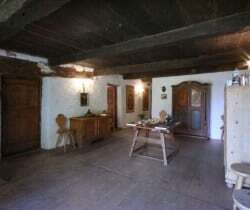 The luxury chalet is a 16th century farmhouse has convenient access to all Val Pusteria has to offer. 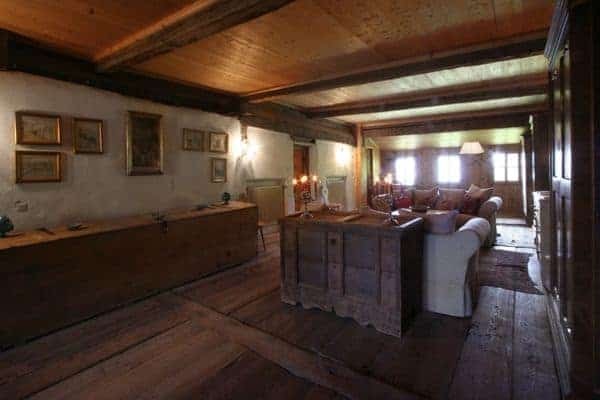 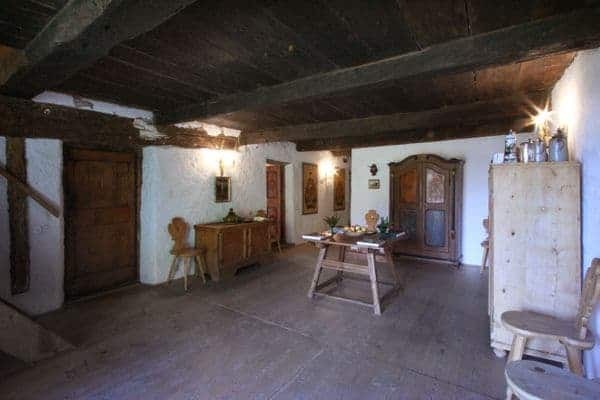 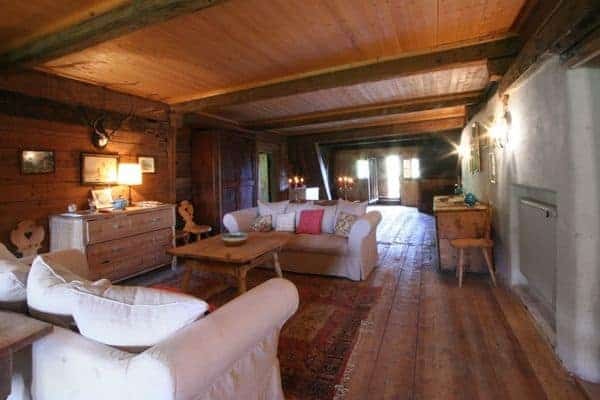 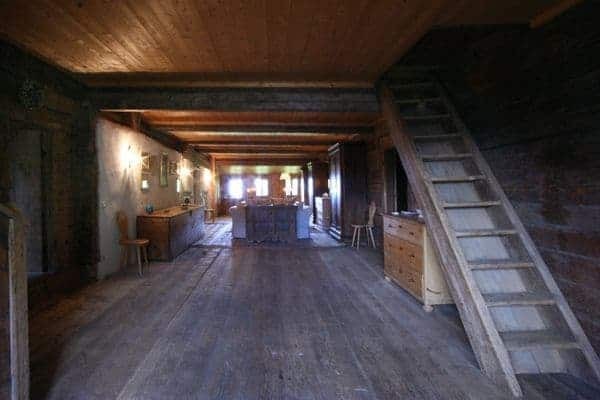 This property was expanded in the 18th century and it is a stylish, traditional mountain house surrounded by alpine meadows. 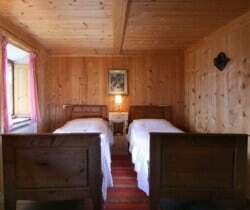 The chalet has been carefully maintained and every window frames a picturesque view of valley and Dolomite peaks. 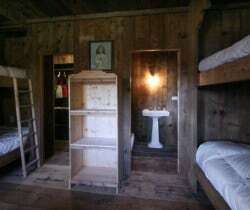 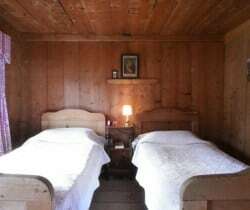 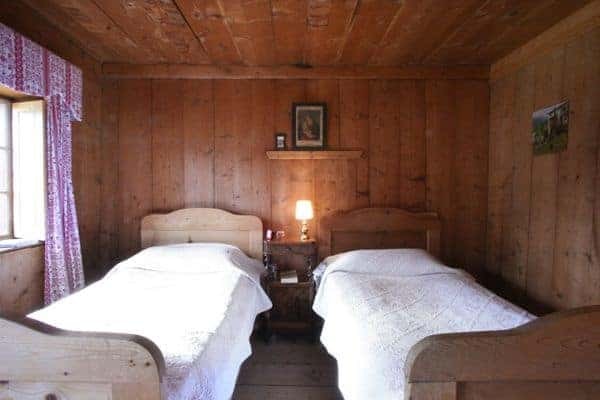 The traditional furnishings and local handcrafted furniture is integral to the mountain ambience, enhanced its old and rich dark wood floors and ceilings living areas and bedrooms. 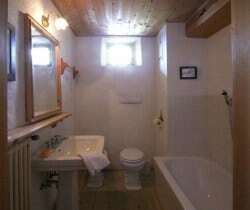 There are two living areas decorated with traditional majolica tiling and warmed by wood stoves. 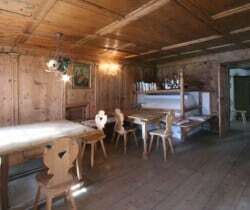 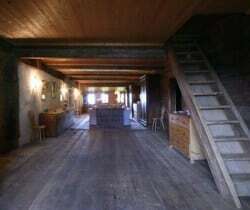 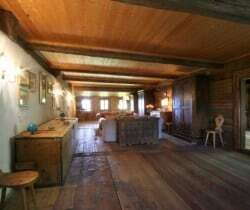 The larger of the two dining areas can seat an impressive 30 diners, whilst the more cosy dining area is a stube where up to 14 can enjoy traditional fondue. 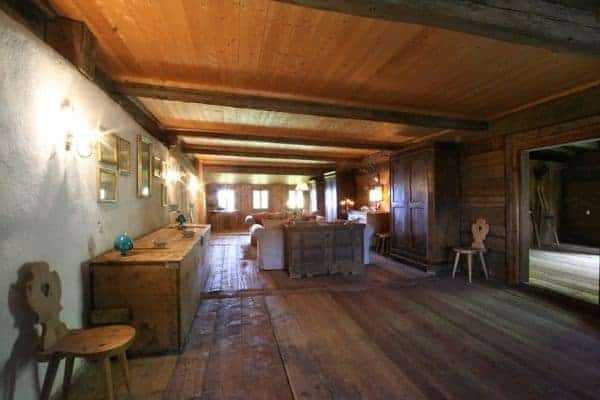 Elsewhere, the original barn structure has been transformed into a large reception area that is ideal for large gatherings and celebrations, while modern conveniences installed include satellite TV and Wi-Fi. 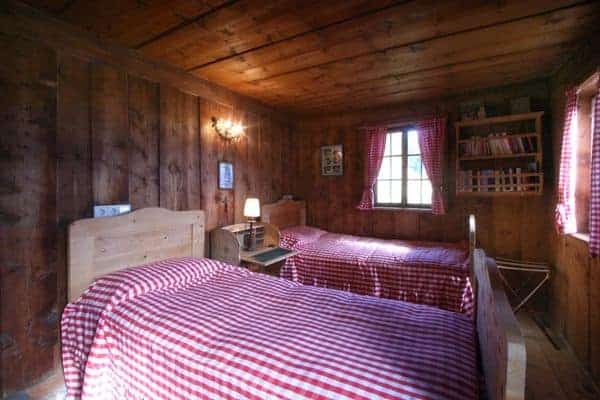 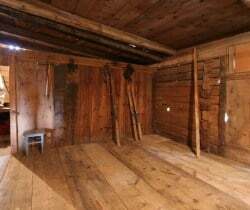 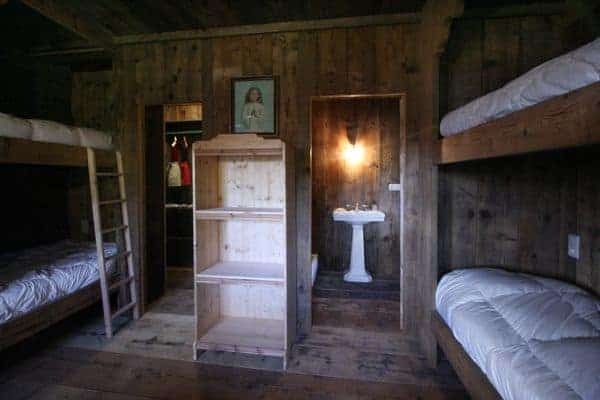 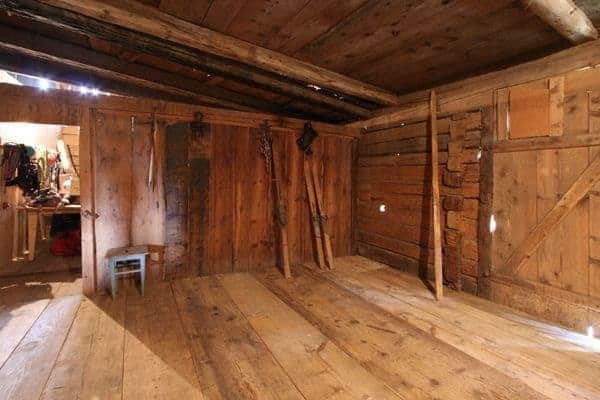 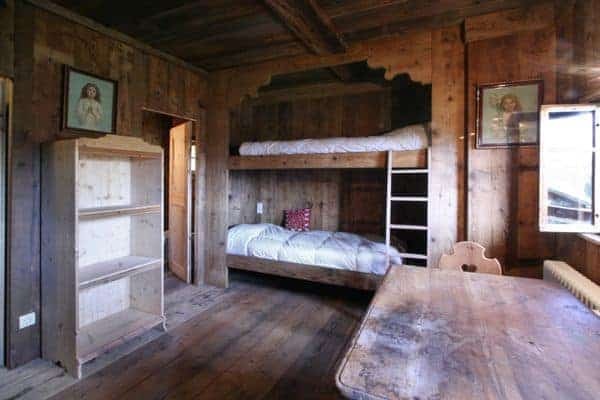 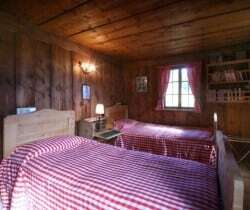 The chalet can welcome up to 18 guests in 7 guest bedrooms distributed on two floors: 5 that are doubles (3 en suite) and two bunkrooms, en suite (sleep 4 each). 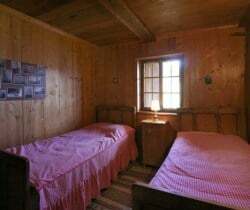 There is an additional bedroom en suite with external access of slightly lesser quality and that may be more suitable as staff accommodation. 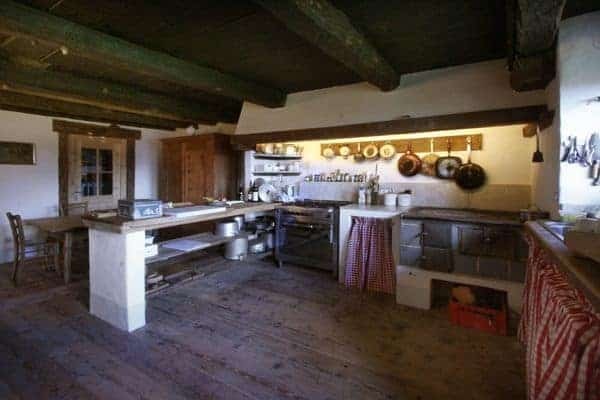 Away from the privacy of your bedroom suites and the inviting cosy and warm sitting areas, another popular hub of convivial social gatherings is bound to be the charming tradition kitchen. 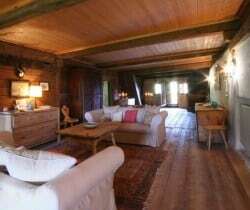 This is not only large and fitted with all necessary appliances, but includes also a wood-burning stove cooking range and breakfast table. 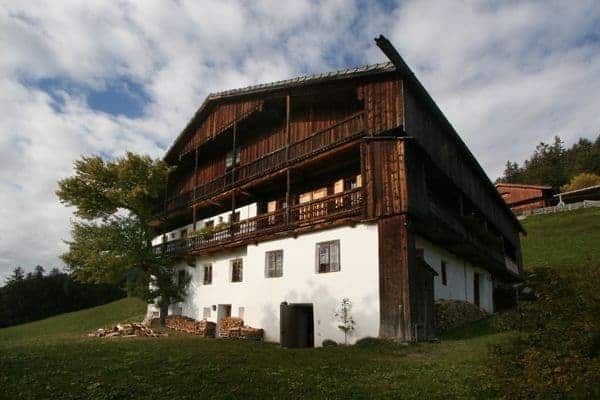 Val Pusteria is a hive of activity, where in the winter skiing and ice climbing will give way to hiking, rock climbing, fishing and cycling in the summer months. 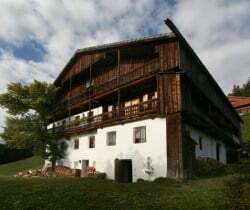 There are also many beautiful old towns and villages – there are many attractions, such as castles, churches, etc. 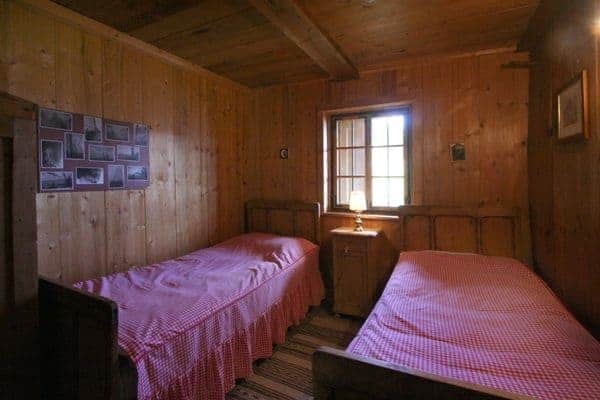 that are well worth visiting. 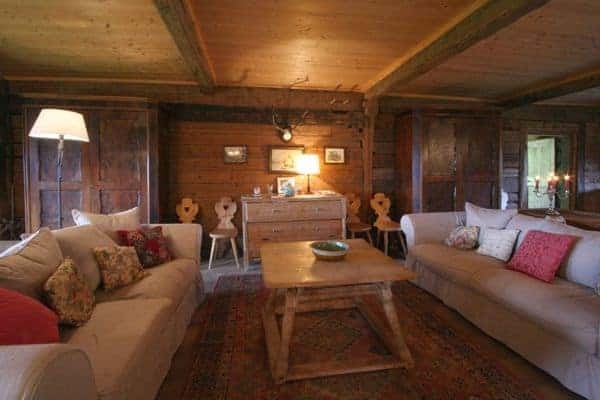 Atmospheric and traditional mountain luxury residences are at a premium and this beautiful chalet would be most appreciated by discerning and mature guests, who will be charmed by its warm, woody and historic ambience. 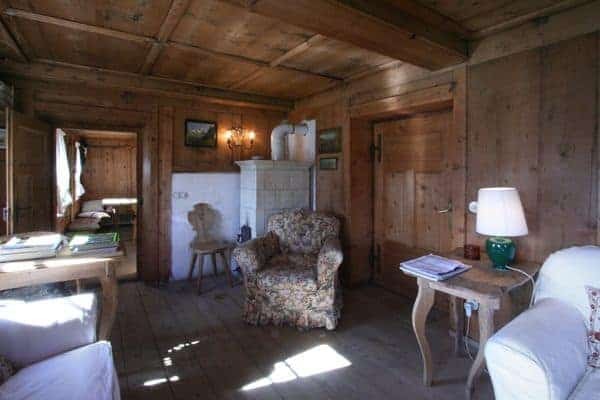 The luxury chalet is also ideal for a large family or 2 families that desire a richly furnished, warm and comfortable home from which they can set out to explore the Val Pusteria and experience the best of the Dolomites.